For Italy to Greece ferries click here. For jet foils to the Kyklades, click here. For jet foils to Peloponisos and the Saronic Gulf, click here. Please note that ferry fares depend on destination and season. Ferry prices start from DRA 1000/$3 (Pireaus to Aegina) to DRA 9000/$27 (Piraeus-Rhodes or Pireaus-Crete), one way. Tickets can be bought at the, literally, hundreds of travel agencies at the Pireaus port, right outside the Metro station. 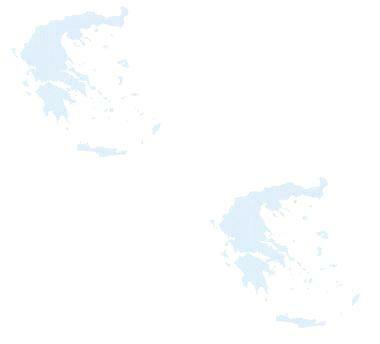 There are literally hundreds of ships and ferries travelling between the many islands found within Greece. From small little boats scurring between Pireaus and Aegina, Poros, Hydra and Spétses to huge cruise ships able to transport more than 1000 cars and 3000 passengers, there are ships to serve anyone. The main islands have more than one ship per day arriving, with Mykonos and Santorini more than 6 in the summer. Some from Pireaus and some from Rafína, they usually stop in other islands along the way. Most ferries do the circuit Andros-Tinos-Mykonos and back while others head to Paros-Naxos-Ios-Santorini while others still aim for Kythnos-Sifnos-Serifos-Milos-Santorini and then Crete. Prices are pretty similar and travellers take the first one available. It would take about 8 hours to go to Mykonos from Pireaus which means that for the ferry that leaves at 8am, Mykonos will be sighted at about 4 pm. The general departures of the various ferries are indicated here for the summer of 1999. GENERALLY FERRY BOATS LEAVE PIREAUS HARBOR IN THE MORNING FOR NEARBY ISLANDS (AT AROUND 8 AM) OR IN THE EVENING (8PM) FOR LONGER DISTANCES (CRETE, RHODES). THE FERRY PORT IS JUST OUTSIDE THE ELECTRIC METRO TRAIN STATION IN PIREAUS. THERE ARE MANY TRAVEL AGENTS TO SELL YOU TICKETS THERE. YOU DO NOT NECESSARILY NEED TO HAVE TICKETS IN HAND FOR FERRY TRAVEL. EVEN IN THE MIDDLE OF THE SUMMER, THERE ARE PLENTY OF PLACES AVAILABLE ON THE VARIOUS FERRIES.